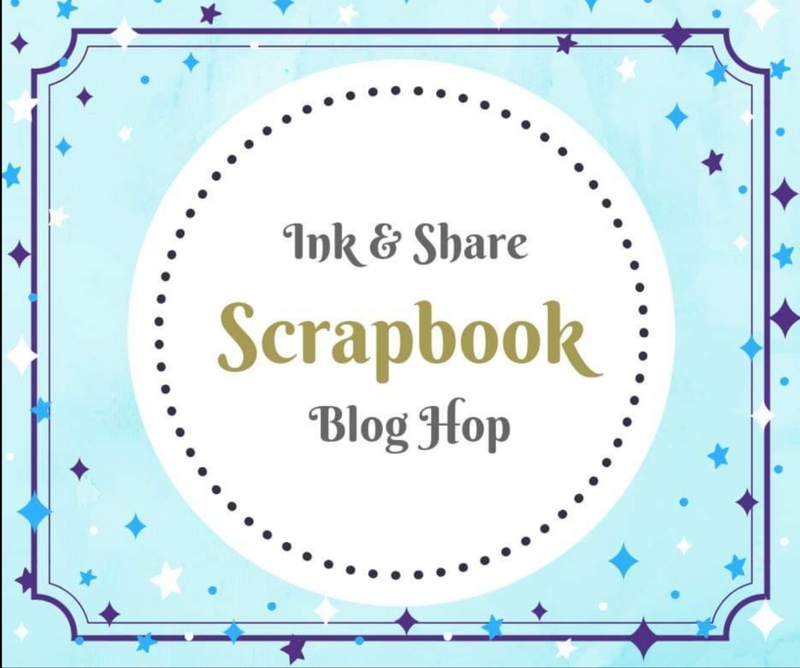 Welcome to the first Ink & Share Scrapbook Blog Hop. 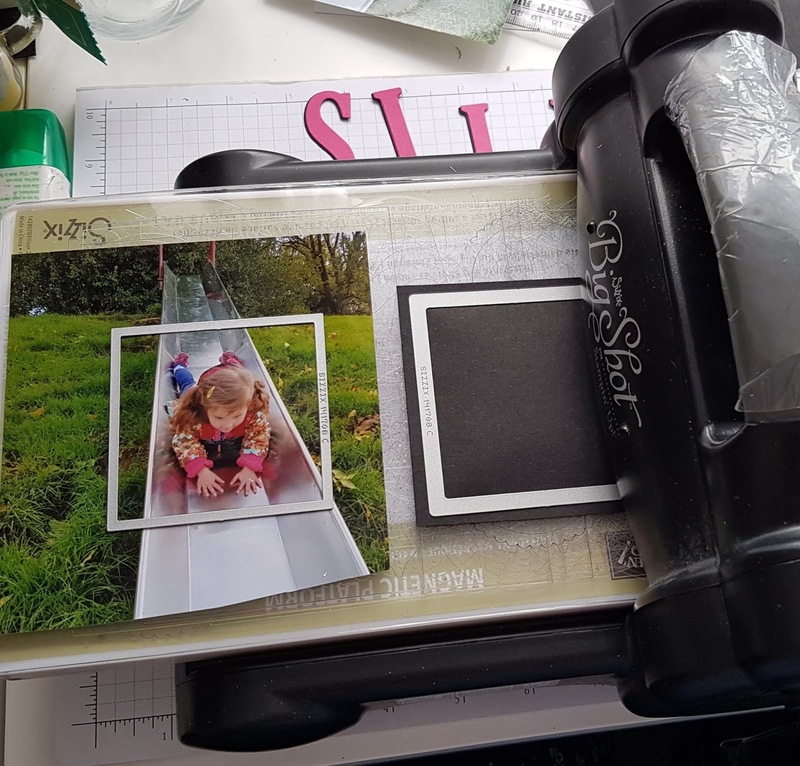 We are a group of Independent Stampin Up Demonstrators from around the world who have a passion for pretty photo albums! 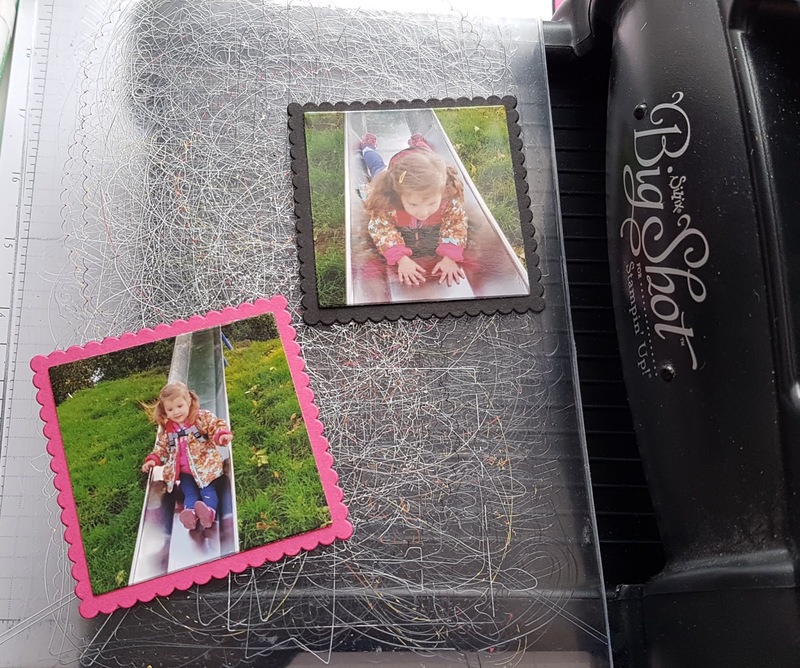 You'll see all sorts here - 12x12, pocket system, and so on.... so sit back and enjoy a feast of inspiration that will have you grabbing your photos to create your own family treasures. The only remit is we are using current items available in the Stampin up catalogues. You'll possibly have already seen Rebecca-Jo's page, now its my turn, then please do click "Next" to see Shirley's. So, a little about me. I'm a mother of three grown children, two of whom have provided me with four grandchildren to love and spoil! This time I'm concentrating on the only girl (so far!). 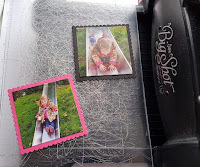 I chose these photos as I'd recently received the Twinkle Twinkle DSP and wanted to use it straight away! The choice of colour was easy - Clemence at three years old thinks the whole world should be pink! And why not! We'd had a fun day at the park and Clemmie was particularly enjoying the rather long slide. She wanted me to join in but theres no way I'd have fitted so declined to which she pulled the cutest "angry" face, stomped back down to me and told me off! We were soon laughing again but not before I'd grabbed one of my favourite photos of her. My daughter was none too pleased to think she had been cheeky, but it was momentary so I asked her to let it pass. So, onto the project. 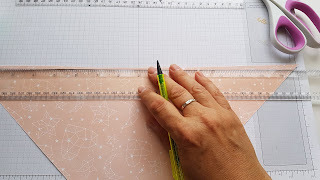 First I rough sketched what I wanted to do, then I used Melon Mambo 12x12 card stock and using my extra long ruler (18"), cut a sheet of DSP in half diagonally. I trimmed it down to create a border round the edges. I wasn't happy with my diagonal cut, so covered it with some Granny Apple Green Textured Weave Ribbon. 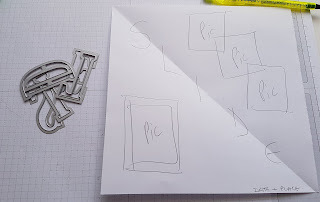 Next was to work out where the letters would go. Eventually I added an exclamation mark too. Cutting photos is the hardest thing for me, I always worry I'll change my mind! Then it was the choice of Melon Mambo or Basic Black for the borders. Of course it had to be pink! 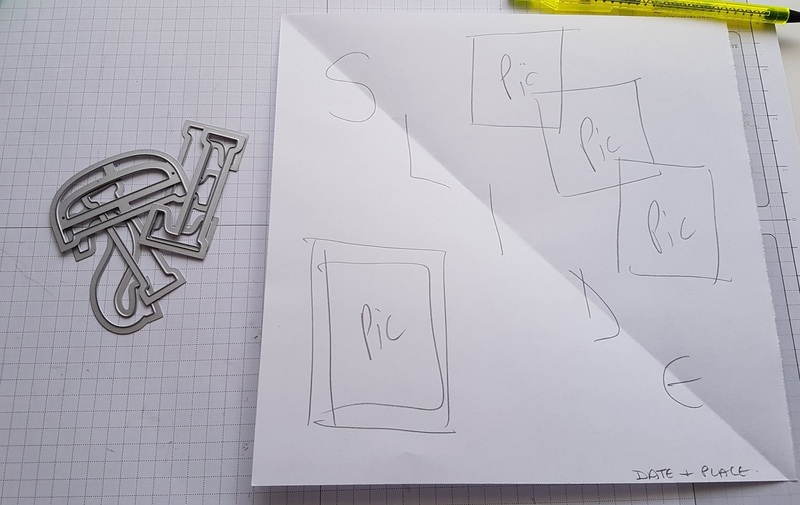 The larger photo needed "something", I opted for the beautiful Detailed Laser Cut DSP ... or at least a small corner of it. I also chose sentiments from the Little Twinkle stamp set and Eastern Beauty. 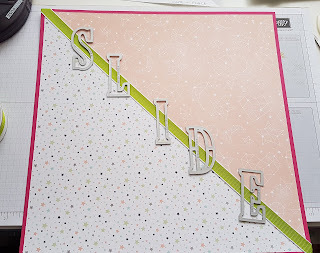 Only using current supplies was a good choice, it made me cut into my DSP not hoard it like I normally do! What a fun and cute page Karen! 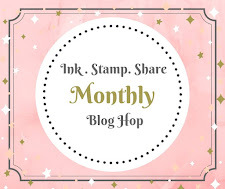 Thank you for participating in our blog hop! 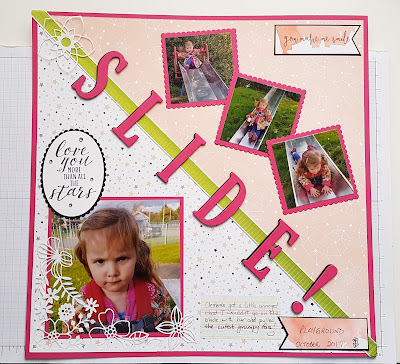 Love the action depicted in the "slide" title! Love your page Karen, these colours work so well together. I adore how your layout of the little photos echo the slide! Such a fun story! Thanks for sharing your process - love to see how people work! She is a cutie and thank you for sharing your project! I'm Karen and I am a craft-a-holic! I have a lot of interests from knitting and sewing to paper-crafting to natural cosmetics etc. If you can make it at home, I'm interested. 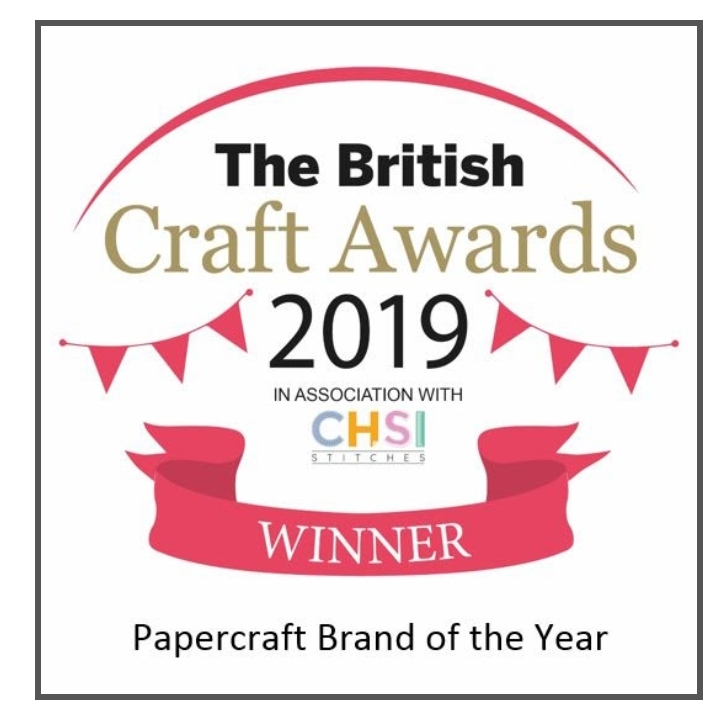 My blog is mostly paper-crafting as I am an Independent Stampin Up! demonstrator but I will also share my other passions too from time to time. 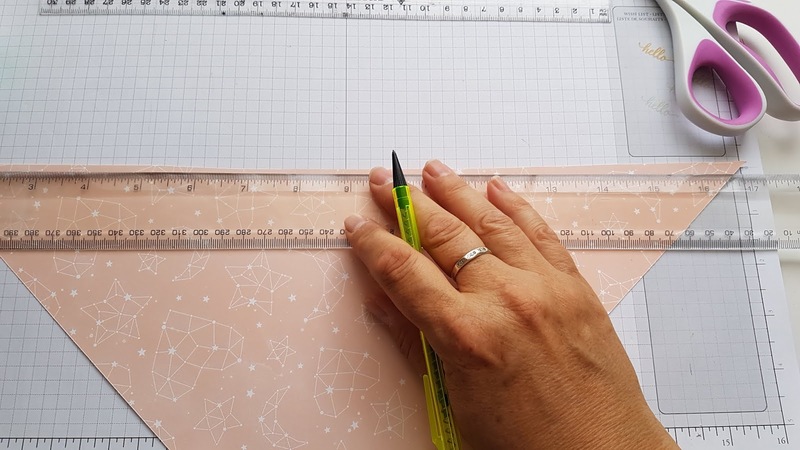 I love sharing my crafting and have recently started organising workshops and classes. I'm married to Steve and we have three wonderful grown up children, a lovely son-in-law and a beautiful daughter-in-law. We are also the proud grandparents to four grandchildren - three little boys and one little girl who thinks the world should be pink! I work part time in our local library. When not working I will be found visiting my elderly father, or my daughter and her little ones, or at my craft table. Housework comes a poor last I'm afraid.